‘Tis the season where your facebook timelines get filled with PSL related posts! 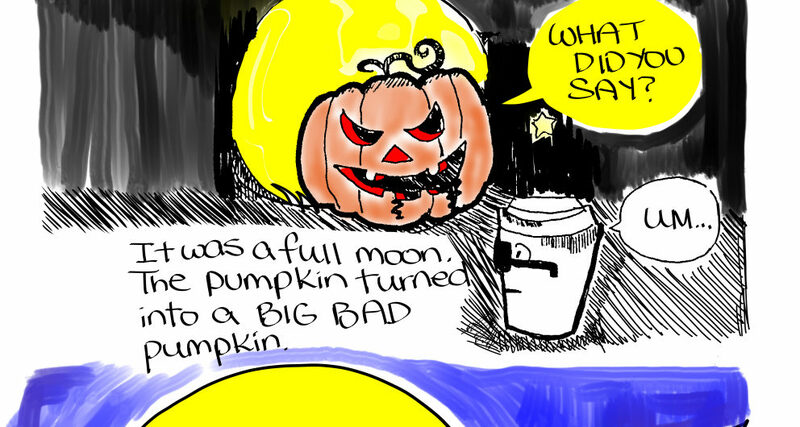 Here’s yet another pumpkin spice latte cartoon. My favourite pumpkin drawing is by Charles Schulz, Peanuts creator. Fall makes everything taste a lot of things better, especially hot beverages! Soup is my favourite food and I’ve been packing them up for my lunch every day using my soup warmer. I live in Vancouver with lots of Asian people, so I get to go to really tasty Asian restaurants. 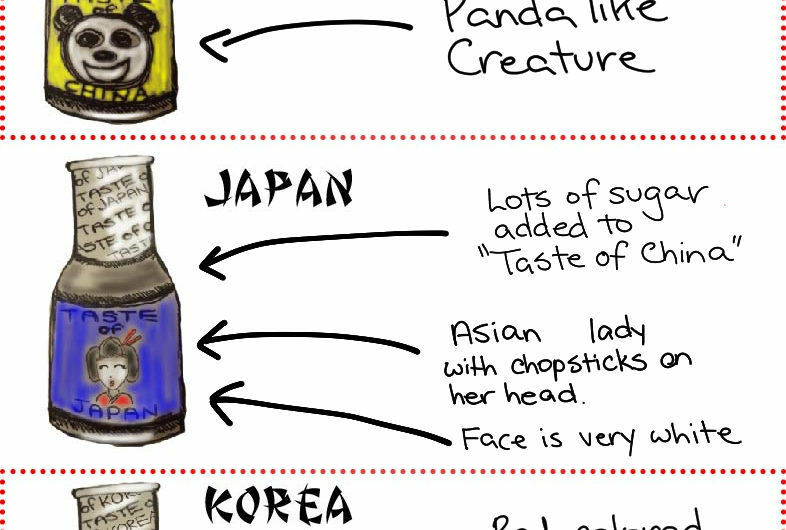 But other parts of Canada, especially somewhere remote, if you find an Asian restaurant that uses the “Wonton” font, most likely the flavour is like above chart. The font I used above was created by Da Font Mafia, downloaded from here. I found this article in the Wall Street Journal, about this font being racist. I’m asian, so it’s ok! I am totally stereotyping here :) White people can cook and enjoy real Asian food (I’m married to one)! Read my favourite food cartoon Relish by Lucy Knisley . You will drool reading this. Shepherd’s Pie I make is on the top 10 list of things my hubby likes. Here’s my Shepherd’s Pie recipe. – salt & pepper to taste, or Montreal Steak Seasoning would do! ). Put the meaty meat sauce in a deep dish pan, spread the mashed potato, and sprinkle cheese. and broil in oven until cheese is meltin’good! Yuuuuuuum. It’s easy, it can be frozen, make lots and take it for lunch! You can’t really go wrong with this, I mean, it’s meat, veggies, tomato sauce and cheese, right? Apparently (ok that is according to wikipedia), October 1, 2015 is the first International Coffee Day. 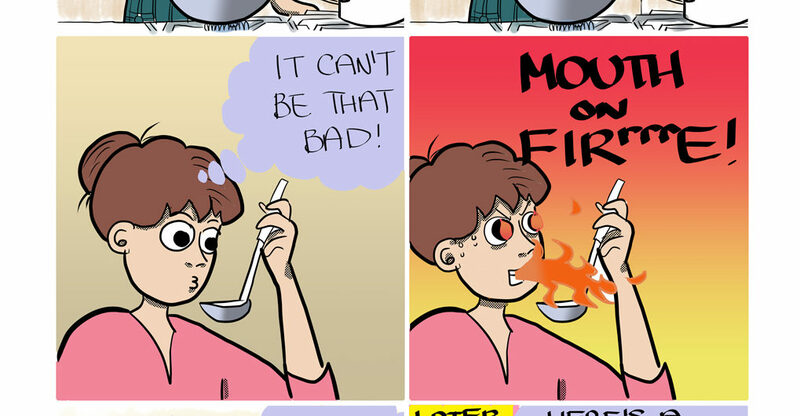 There’s lots of cute comics on coffees on cyberspace. 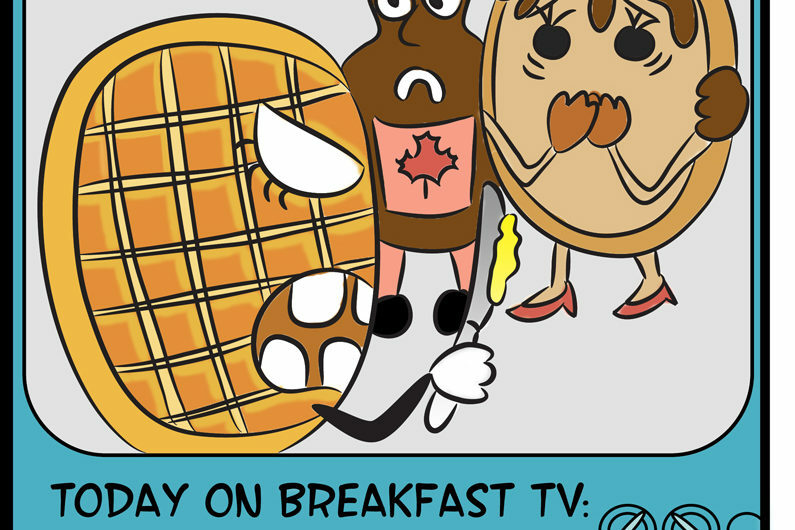 Here’s a collection on goComics, my favourite source of free quality comics. Google “Dark Side of the Horse Coffee” and you will find it. There are various ones he drew on coffee, and I love them all.